Adolphe & Laura was a ship purchased by the Sheerness Co-operative Society in 1882 for the purpose of transporting coal to the Cheyney Rock Coal Depot. Construction details: sheathed with yellow metal (Y.M. ), part iron bolts (pt I.B. ), part iron – sheatbed with galvanised iron (pt G.). 1867: A wooden brig of 174 tons built by Ordranean of Nantes, France as the “Charles Emma“. 1872: Bought by J. C. Hoad of Rye. Used for trading to South America. 1882: Purchased by the Sheerness Co-operative Society for £650 and adapted for the transport of coal. Alterations made at a cost of £300 16s 1d, including converting the rig from a brig to a brigantine. Able to carry about 240 tons of cargo, she made 178 voyages up to 1899. The first voyage involved a collision, and the claim for damages was met by the owner of the colliding vessel. 1892: On 6th April, the vessel was provisionally detained by the Board of Trade at North Shields for overloading, but due to extenuating cirumstances only a fine of £3 and costs were imposed. 1907: Purchased by William Thomas, Amlwch Port from William Lowery of Hull for the sum of £295. Re-rigged as a brig. 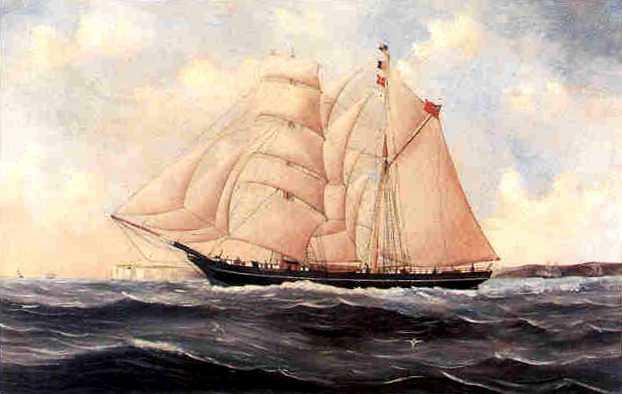 The Adolphe and Laura was registered at Rye 1881-1882. Recorded owner: J C Hoad, Rye. Master: T. Wicks, Winchelsea. She was described in the old Custom House Register as a “lute-sterned vessel”, with a female bust figurehead. Nov 4, 1874, record in the New York Times of ‘cleared’ at New York. 18th October 1872 Depart London to Corfu; Arrived Liverpool 10th March 1873. 2nd April 1873 Depart Liverpool to Leghorn; Arrived Plymouth 21st October 1873. 11th November 1873 Depart Plymouth to Terceira; Arrived London 5th January 1874. 30th January 1874 Depart London to Corfu; Arrived Newcastle 19th May 1874. Voyages to Holland/France or Cape Colonies/Ascension/Algoa Bay or West Indies. 26th May Depart Shields 1875 to Guadeloupe; Arrived London 29th December 1875. 4th September 1876 Depart Cardiff to Mediterranean; Arrived Hull 12th March 1877. 23rd March 1877 Depart Hull to Mediterranean; Arrived Cardiff 20th August 1877. 24th August 1877 Depart Cardiff to Mediterranean; Arrived Liverpool 3rd April 1878. 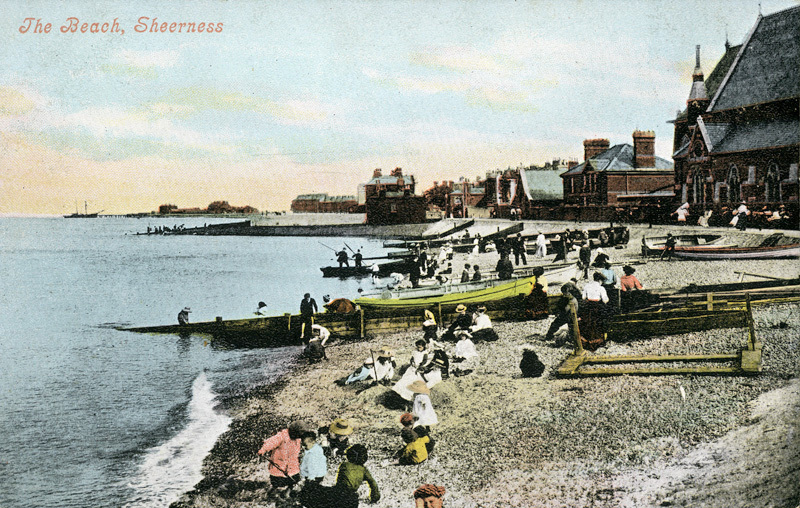 17th April 1878 Depart Liverpool to Baltic; Arrived Rye 9th July 1878.